As a counsellor I believe that by simply listening to your story with a fresh unbiased ear in a safe and non-judgemental environment I can help you to find and develop skills and tools to view your situation with a new clarity. Life is never 100% smooth and sometimes it can just seem so exhausting and like your problems are never going to end! One of the biggest misconceptions about seeking counselling is that it is a sign of weakness. In fact, it is the opposite. Recognising your limitations and need for help by seeking professional therapy is a sign of both strength and determination for you to live a productive and meaningful life. "Counselling and psychotherapy are umbrella terms that cover a range of talking therapies. They are delivered by trained practitioners who work with people over a short or long term to help them bring about effective change or enhance their well-being." 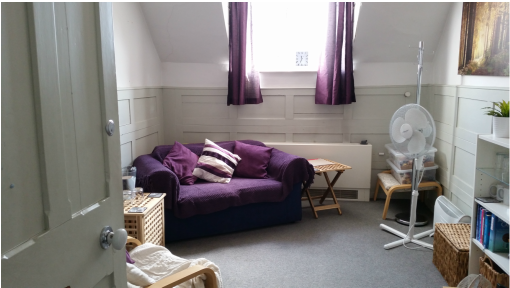 First step will be to meet each other and spend an hour getting to know each other this will normally be in the privacy and comfort of my counselling room, but if you'd like to make an alternative arrangement then we can discuss this once we've made contact. This first session is free with no obligation to continue as it's important that we both feel comfortable being able to work together. If you decide to continue with counselling, that's when we'll discuss how many sessions you may want, how often you want to meet and start to come up with a therapy plan together. Phone and Skype counselling is also available. Working mainly from a person centered approach and a Cognitive Behavioural Therapy approach but with other training and understanding in several theories - I adapt the way I work and use skills learnt throughout my career to meet your needs. It feels important for me to continue to personally and professionally develop the way I work and my understanding of new and already established theories allowing me to continue to offer a versatile and fresh counselling service to you and everyone I come into contact with. Counselling is not an advice service, but somewhere you can openly discuss and explore your feelings and your situation to gain understanding and acceptance around it. With insight and understanding, it is hopeful that you will start to see a way that you can move successfully forward in your life.